We live in a hypercompetitive age where winning is the outcome, often necessary for survival—in classrooms, sports, trade and commerce or at work. The archetypical successful person is determined, aggressive, and obsessed with winning at everything, sometimes at any cost. Of course, competition is healthy; but, winning may come at a hefty price—always striving to win or being overzealous can be both unnecessary and unproductive. 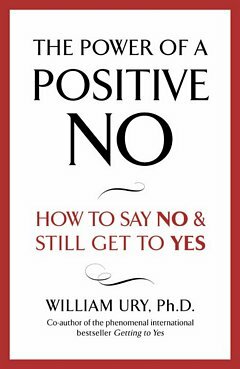 Besides, collaborative or naturally uncompetitive individuals tend to find competitive people somewhat unpleasant. History provides but a few vivid portraits of intense competition that compare to the mid-90s’ “browser wars,” a narrative characterized by the dogged determination and intense competitive spirit of some of the world’s greatest entrepreneurs. Bill Gates and Microsoft are legendary for using brute power: whenever a new competitor emerged, Microsoft would muster its financial resources and its smarts to storm into those markets with alternative products that would eventually dominate. Up until the dot-com bust, Microsoft not only out-competed Borland, Lotus Development, Corel, and other rivals that were previously in the lead, but also crushed upstarts such as Netscape. At the start of 1995, a new software called Netscape Navigator took the computing world by storm. Unlike primitive browsers, Netscape could display text and graphics on websites. Early web buffs eager to discover the marvel of the nascent internet were no longer restricted to downloading text alone. In addition, Netscape could render web pages on the fly while they were still being downloaded. Users did not need to stare at a blank screen until their dial-up connections loaded text and graphics. Even more astounding was the fact that the upstart Netscape Communications, Netscape Navigator’s creator, had been co-founded by a 23-year-old programmer just a few months previously and seemed well-positioned to take advantage of the imminent consumer internet revolution. Netscape was on its way to an extraordinary 90% market share amongst internet browsers. What’s more: the company’s spectacular IPO was drawing near and was to start the dot-com boom. Netscape’s meteoric rise could not escape the attention of the world’s dominant software company. Early in 1995, Microsoft was particularly occupied with finalizing Windows 95. Its launch, scheduled for August 1995, would prove to be the largest, most expensive consumer marketing endeavor in history. Moreover, the U.S. Justice Department (DOJ) had embarked on an intrusive investigation into claims of unfair business practices as alleged by Microsoft’s competitors. While Netscape was capturing the Web browser market, Microsoft and Bill Gates had seemingly missed the paradigm shift created by the consumer internet. Financial and technology analysts wondered if Microsoft was destined to lose its supremacy over software. Microsoft could not wait on the sidelines and cede business opportunities in the upcoming consumer internet revolution. Bill Gates deployed an extraordinary amount of capital and talent to battle for control over consumer internet. Just after the August-1995-release of Windows 95, Microsoft released an inferior Internet Explorer 1.0. In 1996, Version 3.0, matched the features of Netscape Navigator. 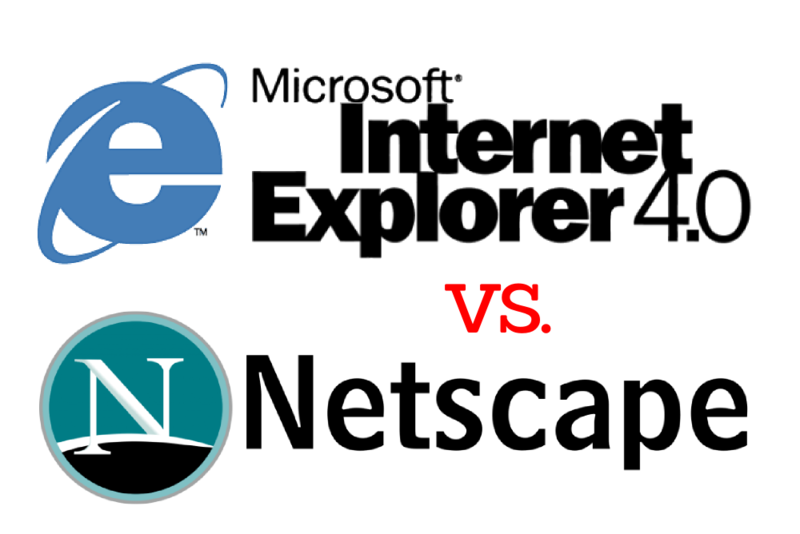 Finally, in 1997, after bundling Internet Explorer 4.0 into Windows 95, Microsoft started to take a significant market share from Netscape. In 1998, the DOJ and twenty US states alleged that Microsoft had illegally thwarted competition by abusing its monopoly in personal computers to bundle its Internet Explorer and Windows operating system. By 1999, Netscape was an inferior web browser and quickly lost its dominance. The software’s market share dropped from 90% in 1996 to a meager 4% by 2002. In subsequent installments of the browser wars, Netscape Navigator’s open-source successor, Firefox, regained market share from Internet Explorer. More recently, Firefox and Internet Explorer have had to contend with Google’s Chrome, which has grown to be the dominant web browser. Historically, Microsoft has never been a substantial innovator. Instead, the company’s most famous strategy was to be a “fast follower.” The variety of rivals’ projects made no difference—competitors could pioneer anything from graphical user interfaces (GUI,) pointing devices, spreadsheets, word processors, browsers or gaming consoles and Microsoft would catch up in due course. Consequently, the most important Microsoft products started essentially as copies of existing products made by competitors or upstarts that Microsoft was able to purchase early. MS-DOS evolved from QDOS, which itself derived from CP/M. Microsoft Windows was inspired by Apple’s Macintosh, which, in turn, had been inspired by a prototype mouse-driven graphical user interface that Steve Jobs had seen at Xerox PARC. Microsoft Excel borrowed from VisiCalc and Lotus 1-2-3. In addition to riding the coattails of bona fide innovators, Microsoft excelled in smart integration—it combined nifty functions and features into a single product or into a suite of easy-to-use tools such as its Office productivity software. Alas, in the last 15 years, Microsoft’s “fast follower” competitive strategy has proven unsustainable. As its dominance in the enterprise world grew, Microsoft’s impressive financial performance relied mostly on its “old faithful” franchises. In fiscal 2014, the Windows operating system, Office productivity suite, and servers/cloud businesses contributed 78% of Microsoft’s revenue and almost all of the gross profit. Despite the competitive ferocity of Bill Gates, Steve Ballmer, and others at the company’s helm, Microsoft has been unable to return to its domineering ways in the internet’s recent mobile- and social-computing trends. In fact, Microsoft stumbled in category after category of consumer computing and technology, including search, social networking, phones, music players, and tablets. Google, Facebook, Apple—lead by entrepreneurs just as intensely competitive as Bill Gates—have soared ahead, altering the social-media-tech consumer experience. Recommended Reading: If you like business history and entrepreneurial success stories, read ‘Forbes Greatest Business Stories of All Time’, Daniel Gross’s engaging profiles of twenty great American entrepreneurs: Revolutionary War financier Robert Morris, McDonald’s ‘founder’ Roy Kroc, Walt Disney, Microsoft’s Bill Gates, et al. For more stories of Bill Gates’s fierce competitive instincts, read Stephen Manes’s “Gates”. The commencement season is upon us. On these momentous occasions, students celebrate their academic achievements and prepare to transit from one pivotal life experience to another. In graduation speeches, students hear reflections of personal stories and timeless advice from accomplished individuals. While commencement speeches are brimming with plenty of patently obvious advice such as “pursue whatever you do with passion,” speeches such as the ones featured below are truly motivating. I have coached many students graduating this year and I have recognized that, despite a gloomy job market and other challenges ahead, this year’s graduating classes seem to be more optimistic than previous classes with which I have interacted. My very best to them. Steve Jobs cofounded Apple Computer Inc. at age 21 in 1976, got fired in 1985, and returned in 1997 to lead one of the most remarkable corporate turnarounds in business history. The product and marketing visions he has since executed have elevated him to the status of a business and media superstar. Steve Jobs had a cancerous pancreatic tumor removed in 2004 and underwent a liver transplant in 2009. Sometimes life hits you in the head with a brick. Don’t lose faith. I’m convinced that the only thing that kept me going was that I loved what I did. You’ve got to find what you love. … Your work is going to fill a large part of your life, and the only way to be truly satisfied is to do what you believe is great work. And the only way to do great work is to love what you do. If you haven’t found it yet, keep looking. Don’t settle. As with all matters of the heart, you’ll know when you find it. Bill Gates, the co-founder of Microsoft and Corbis, is currently the world’s most influential philanthropist. His Bill and Melinda Gates Foundation has donated billions of dollars to world health causes, particularly toward the eradication of infectious diseases. I left Harvard with no real awareness of the awful inequities in the world — the appalling disparities of health, and wealth, and opportunity that condemn millions of people to lives of despair. … Humanity’s greatest advances are not in its discoveries — but in how those discoveries are applied to reduce inequity. Whether through democracy, strong public education, quality health care, or broad economic opportunity — reducing inequity is the highest human achievement. If you believe that every life has equal value, it’s revolting to learn that some lives are seen as worth saving and others are not. … I hope you will come back here to Harvard 30 years from now and reflect on what you have done with your talent and your energy. I hope you will judge yourselves not on your professional accomplishments alone, but also on how well you have addressed the world’s deepest inequities … on how well you treated people a world away who have nothing in common with you but their humanity. Failure meant a stripping away of the inessential. I stopped pretending to myself that I was anything other than what I was, and began to direct all my energy into finishing the only work that mattered to me. … Rock bottom became the solid foundation on which I rebuilt my life.